The Digital Lifestyle Fair conducted by Sun Life PH HQ aims to promote the immersion of their employee in the digital age. 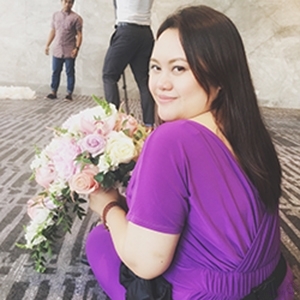 I am amazed by companies who exert effort to promote work-life balance among their employees. Any workplace is stressful and we can avoid or cut that by trying to live a balanced life. You not being eaten by work and doing something else to refresh every time. They now have apps for their advisors and their microinsurance is now available online. I am sure in the next coming years more exciting evolution will take place. So if you are wondering why I was at the event. They have invited promising startups who can take part in the digital movement. Being digital is part of our lifestyle now and more and more companies are being built to make our lives easier. You can now book your car services needs, join a travel group, book a stylist, share a gift, watch your favorite series, and many more. On my end, we represented the ever-growing online buying and selling. I was also invited to the forum where I shared what options can an employee do if they want to have extra income. I was really shocked to speak with industry leaders Fitz Villafuerte and Janette Toral. Do visit their blogs because they offer insightful tips and tricks on how to ace your game. I believe that entrepreneurship can boost our economy in general. It will give more jobs to the citizen and it will definitely make our lives better. I have read and listened to leaders teaching us to reflect on what we can offer to the society. As every personality and strengths are different we can make and take different paths. During the talk, Ms. Janette parting words were something about your passion. Is it something you want to do for the next twenty years? Will you still write? blog? take photos? or cook? Every time I discuss this topic, I always share this image. If you think about it, it makes sense. 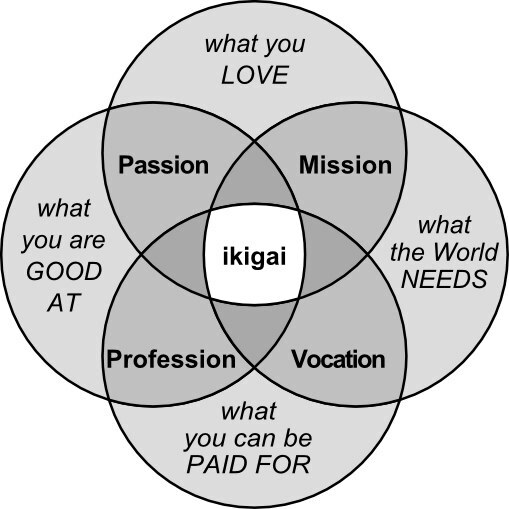 Your IKIGAI can be determined by the common ground of your Passion, Mission, Vocation, and Profession. I first encounter this image on my BDJ journal and it became my life reference. If we have found this IKIGAI that we are looking for the next brainstorm you should be this. I learned this from Sir Fitz, he called it AIDA. First of all, the business idea, will it solve people’s annoyance, irritation, disappointment, or anger? If yes, then you can move on to the next step. If not, then you can continue to brainstorm until you find one. Study your target audience, another insight from Sir Fitz. You should know who are they, where they are, and what they do. Consequently, If you know the basic 3W’s then you’ll know where to focus your attention. I have also read a book on Marketing 4.0 by Philip Kotler, the behavior of the consumer now is far from what they are used to be. Their go-to channels for considering products are their friends, family, and fans. So we should all consider that. Do not forget to be human too. The more genuine you are the more likely they will follow you and do business with you too. The endless battle of motivation and discipline. I just passed by this statement from my former boss’ daughter, who by the way, a successful entrepreneur herself. Motivation does not come every day, there will a bad day. If we can insist on discipline within ourselves, we can be consistent. We will always fail, so it is better to fail now, fail fast, and recover. The what-ifs scenario in our mind will not make any sense if they are just on our mind. So what if some of your friends are already successful and having the time of their lives. Comparison kills joy, the best you can do is to stop it and focus on your own journey. Start making progress. Start today. Invest in learnings, build networks, help a friend. You will never know where this exciting life will take you. I am still an employee and I have the blueprint of my dreams in my head. I want to push myself and live all the words I mentioned. We’ll all get there. Above all, I hope my story inspired Sun Lifers to reflect on their dreams and start the first step in making it come true. Whichever industry we decide to be part of, we will all be writing a history. Thank you Sun Life for having me! Kudos to the Digital Transformation Team for making an event like this.